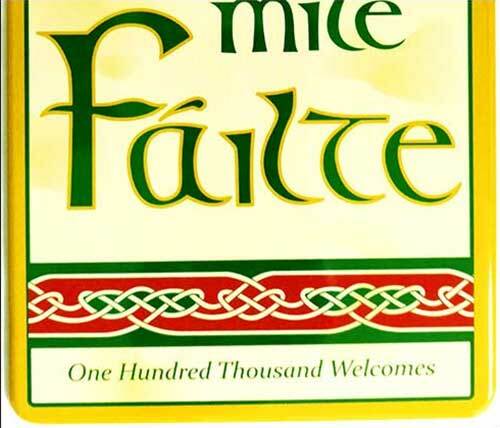 Brass Fáilte sign says welcome in Irish. 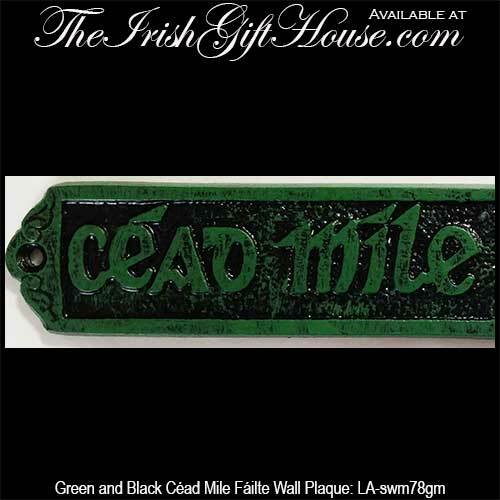 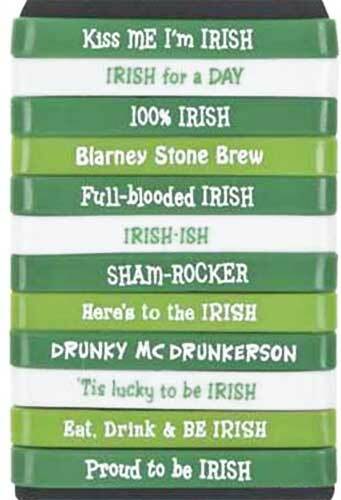 Irish welcome sign, with the traditional Irish greeting of Céad Mile Fáilte, is embossed on a aluminum plaque with green and black accenting. 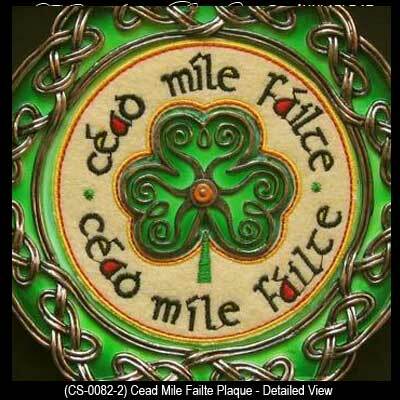 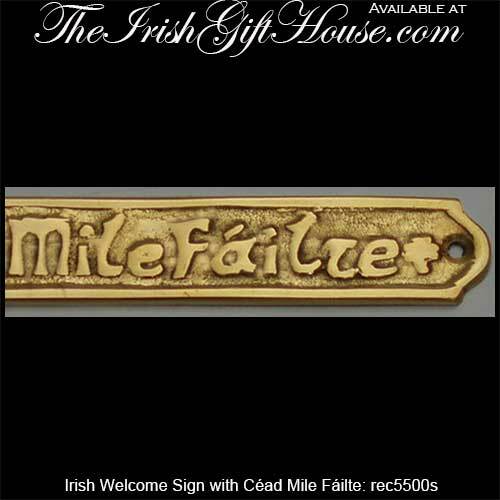 Céad Mile Fáilte, along with shamrocks, enhance this small brass Irish welcome sign that may be used as a door plate. 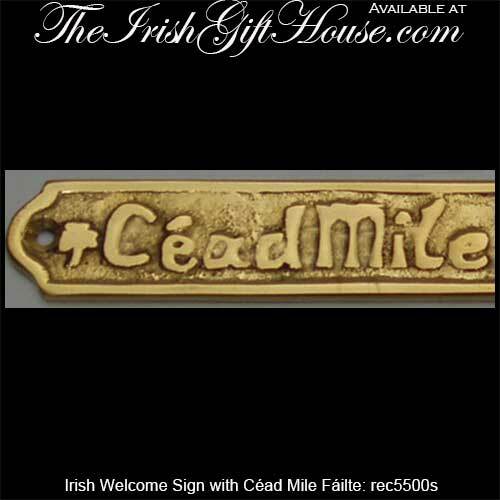 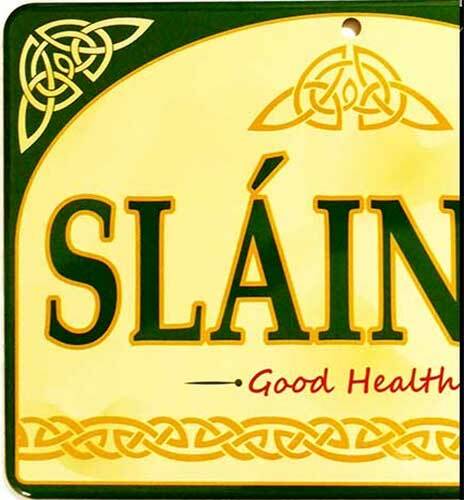 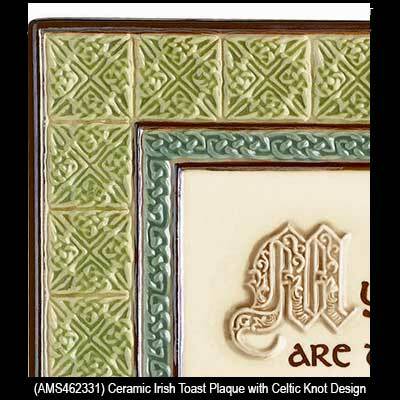 Irish welcome sign features the traditional Irish greeting of Céad Mile Fáilte, embossed on a aluminum plaque. 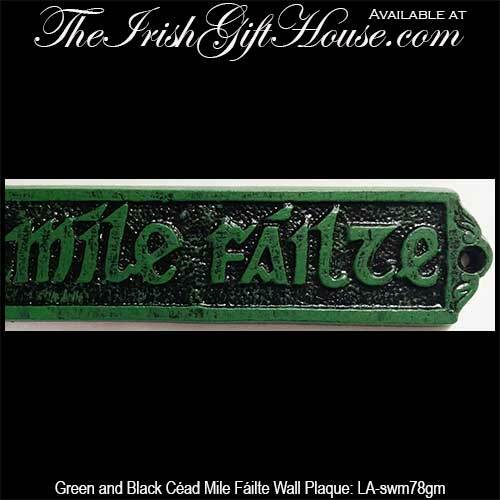 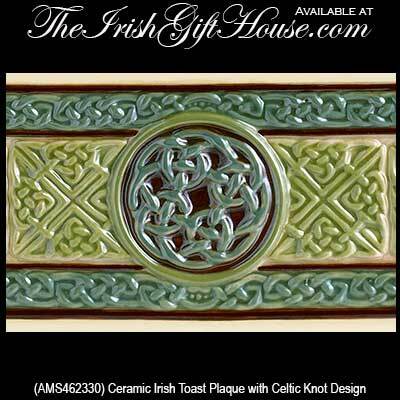 Irish horseshoe wall plaque is solid brass and features Fáilte, the Irish welcome. 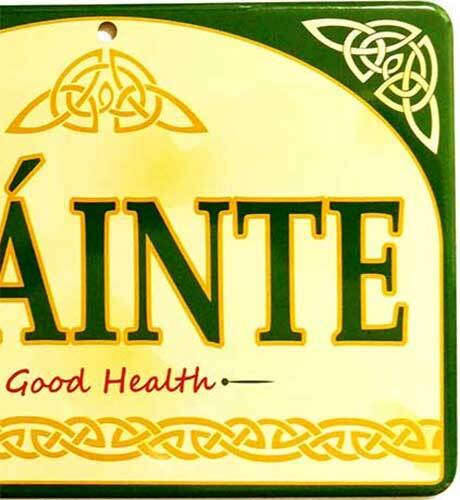 Wooden Irish pub sign features a dangling welcome plaque along with a bold shamrock. 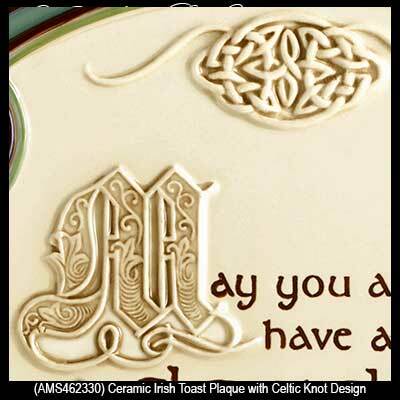 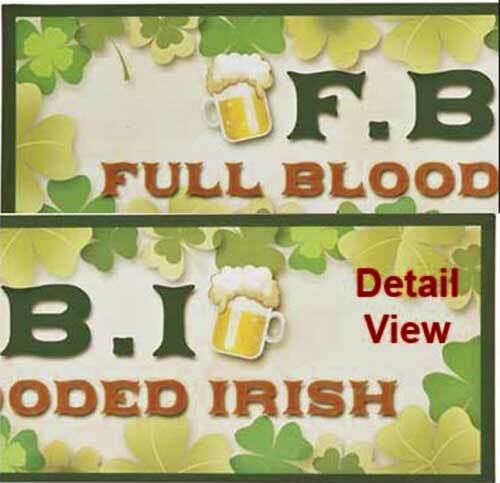 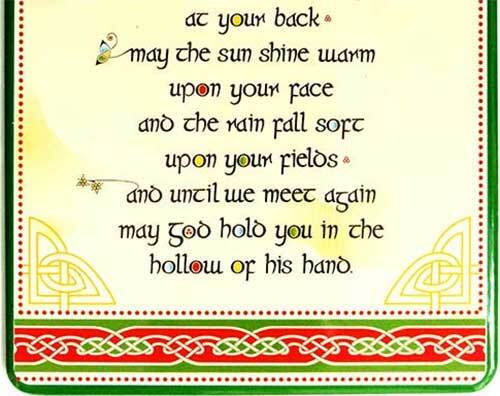 Irish blessing banner features Celtic knot-work along with shamrocks. 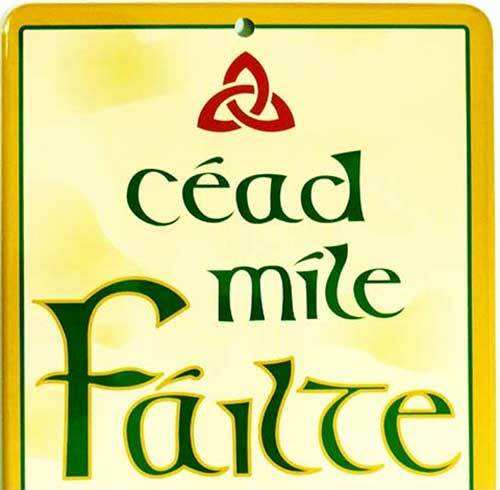 It would make an ideal Irish pub sign. 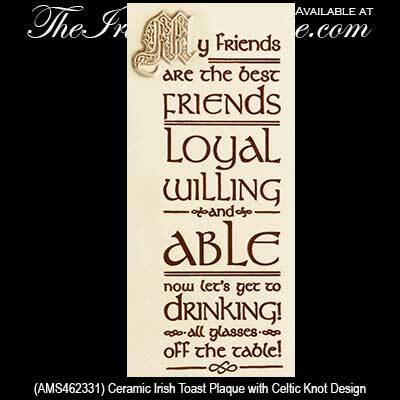 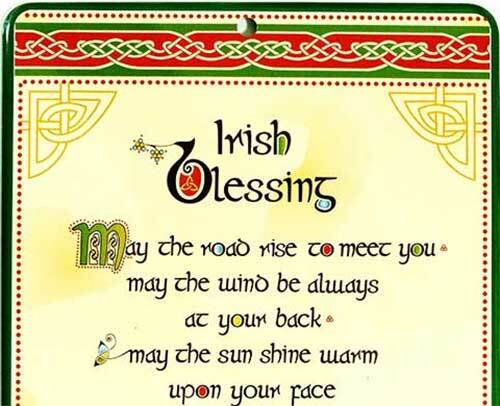 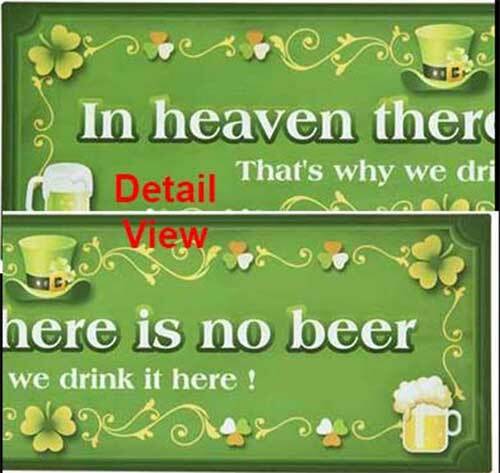 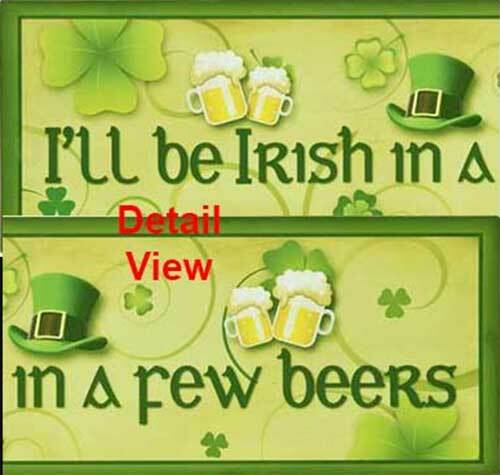 Irish blessing sign features a hand painting on a wooden plaque that is enhanced with a shamrock. 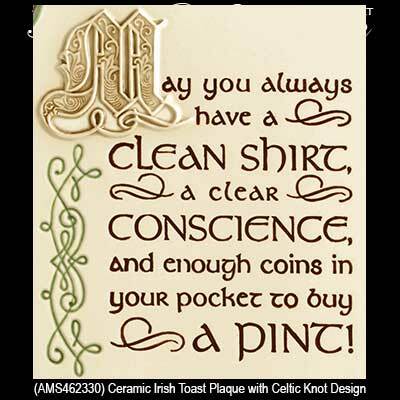 Sorry, this Irish blessing plaque is not sold out.